Cherokee language resources. Dean Smith’s personal papers. A first-person account of an enslaved woman. For more than a century, UNC researchers and libraries have collected millions of southern artifacts and documents — making Carolina a hub for the study of the American South. 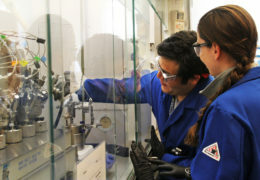 Over the last five years alone, more than 15 UNC students have accepted jobs at Eastman, a materials and specialty additives company in Kingsport, Tennessee. On top of hiring Carolina grads, the company supports research projects across four departments within three schools at UNC, creating a successful model for how industry partnerships function at the university. A generation under Soviet control made its voice heard on tape. UNC music scholar Andrea F. Bohlman is listening. 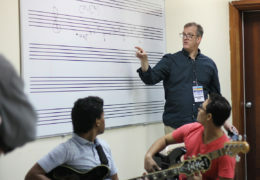 Stephen Anderson, a critically acclaimed composer and pianist, and a professor in the Department of Music in the College of Arts & Sciences, has a knack for finding Latin rhythms wherever he goes—most recently, the Dominican Republic. 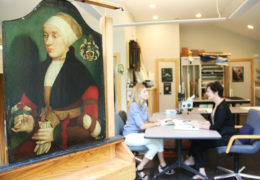 If a picture is worth 1,000 words, what is a nearly 500-year-old painting worth? “Portrait of a Young Lady” sat in storage at the Ackland Art Museum since its arrival there in 1968 — until UNC art history professor Christoph Brachmann pulled it from the vaults last year. He immediately sensed the potential importance of this piece, thought to be created in 1522 by Barthel Bruyn, a German Renaissance painter. Discussions of sixteenths, scales, and solos rang through the rooms of Kenan Music Hall during the 2017 UNC Summer Jazz Workshop, led by music professor Stephen Anderson. 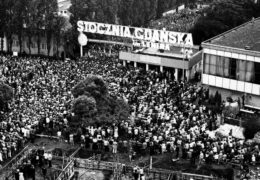 Those who attended were of a variety of ages, skill levels, and backgrounds — a true testament to the universal language of music. 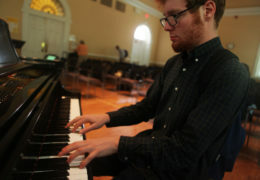 Some students were involved in theory and improvisation courses, while others focused on jazz history, many receiving college credit during the five-day event. All participants had the opportunity to enjoy evening concerts performed by talented guests, professors, and peers. Some of the same students return each year, sure to receive a unique experience each time — that’s the beauty of jazz. Belgium’s control of the Congo in the early 20th century had a profound impact on native artists. 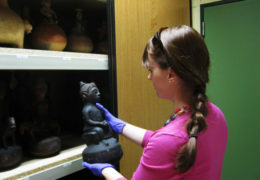 Carlee Forbes, a UNC art history researcher, is looking for clues to better understand how and why. 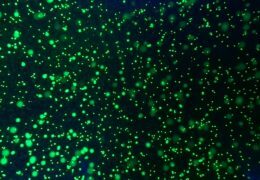 At the intersection of art and science, music professor Lee Weisert creates sound installations that allow audiences to experience the natural world in a unique way. 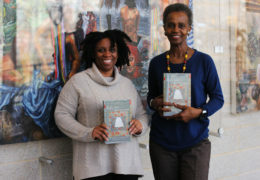 How a book inspired two UNC professors to discuss belonging and home in African diaspora communities.